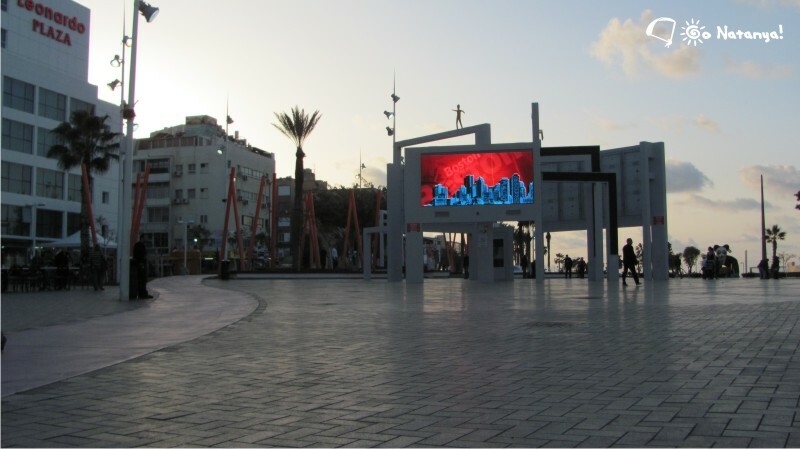 Independence square, or “Kikar haAzmaut” in Hebrew is the most popular place in Netanya. You can always see here many people from all parts of the world. And citizens love this place very much too. 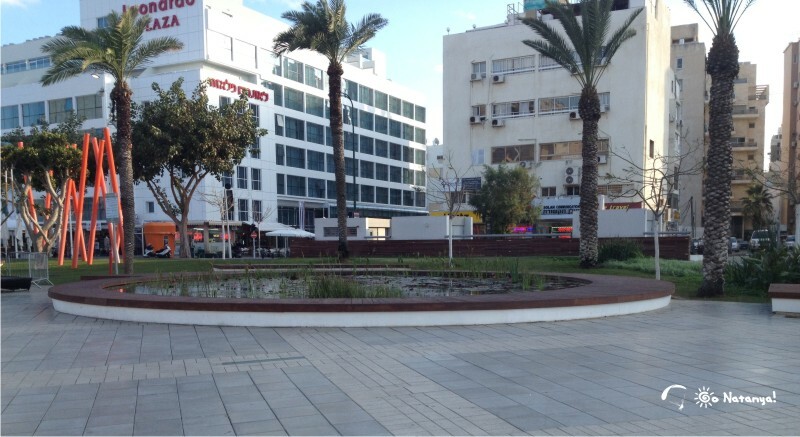 It’s so famous, that you can read about this square even in the textbooks of Hebrew! Independence square looks perfectly as in the sunshine, so in the moonlight. Netanya is a “young” city, and here are no ancient buildings in the center. This is not Jerusalem, or Acco where “historical” and “tourist” centers mean one place. But, in Netanya, there is always clean and well. In another article we wrote about Hertsel street, and Independence square is the place, where this street starts. You can see, how Independence square from looks Hertsel street. After the screens, you can see another interesting “installation”. We don’t know exactly, what it means, but it looks like great lightsabers. My son calls them “sith’s lightsabers”, because they are red. In the daylight, they are inconspicuous, but in the night they look perfectly. 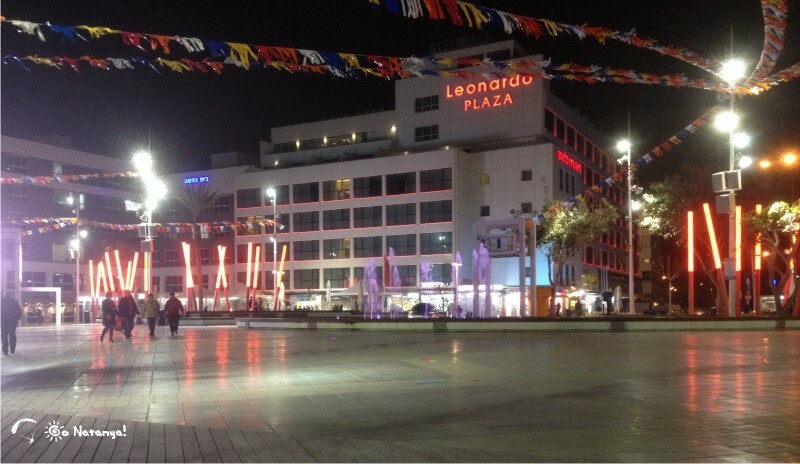 Especially against the background of the third attraction of “Kikar”. 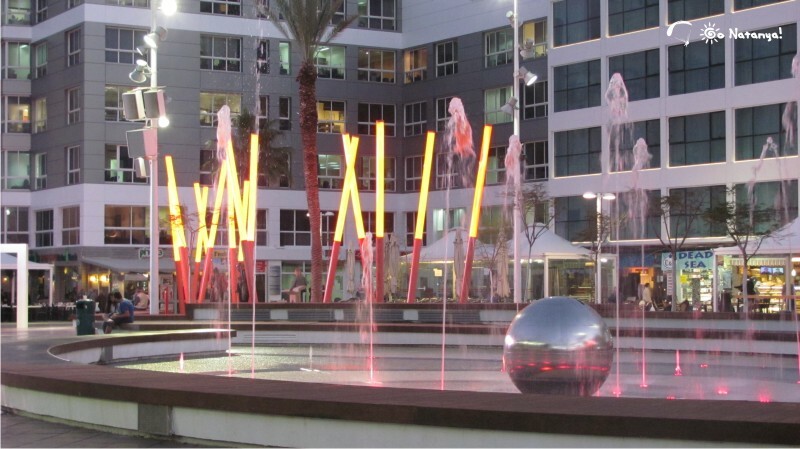 This third attraction is a colored musical fountain, wich jets hit from the ground. This show looks excellent in the evening and in the night. But in the afternoon, the fountain is always full of children, especially in summer. 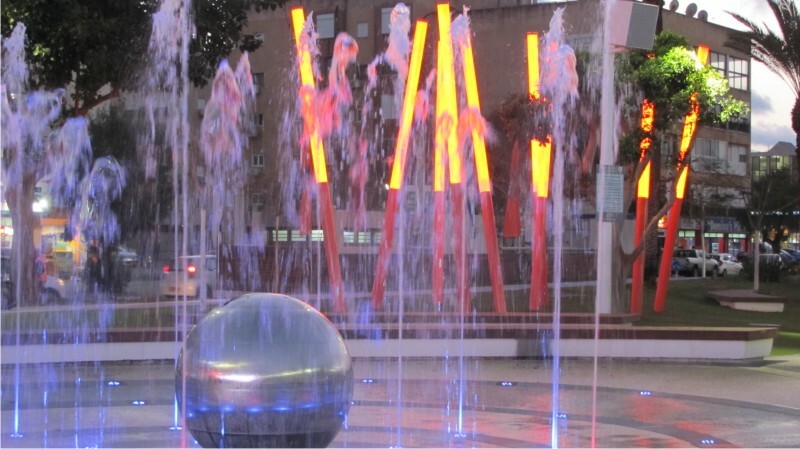 This fountain is very popular. We like it because it has the soft cover on the bottom. If you want to run through the water jets, you will never slide and fall down. Apparently, children love it for the same reason. If you go further, you will see the fourth interesting thing here. We talk about the small lake, right in the center of the Independence square! Yes, this is a real lake, about 10 meters (30 ft) in a diameter. 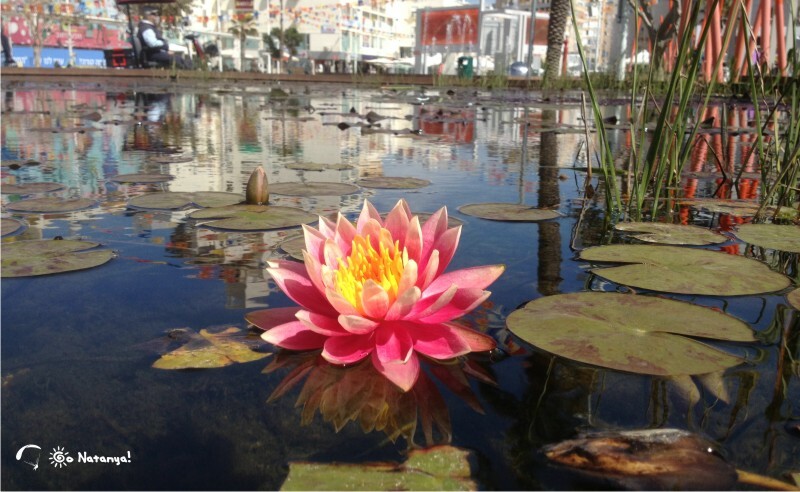 There live big and fat fishes, and on the surface bloom incredible lotuses. We have an article about this beautiful lake. Did you ever seen something more beautiful? After the lake, there is a road, and after it, there is the big place with a stage. Here always all dates, – public holidays, city holidays, and others – are celebrated. When here are no any parties, this place is always engaged of skater-kids. They skate here on boards, or on roller skates, or on bicycles. Near this place, there is the small market of souvenirs. Those souvenirs, that you can buy here are not so “original”, but sometimes, sellers offer something unusual. 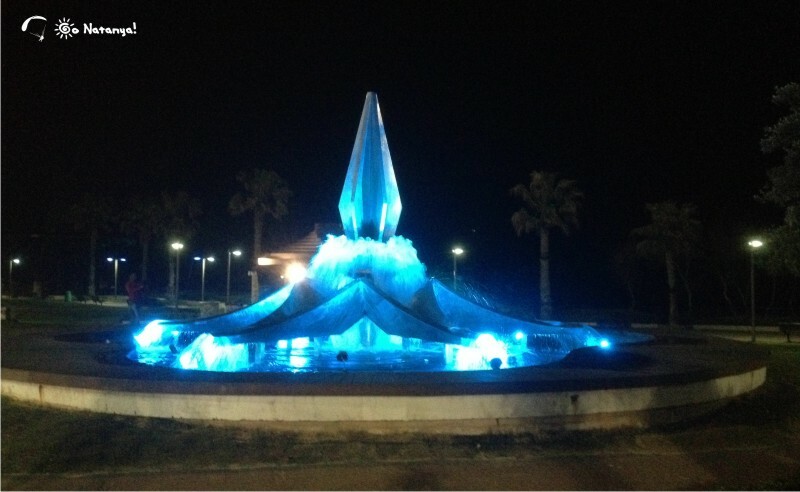 Here you can see another one colored fountain. It’s not so big, as the first, but in the evenings it’s very beautiful too. And here you can see many cats. 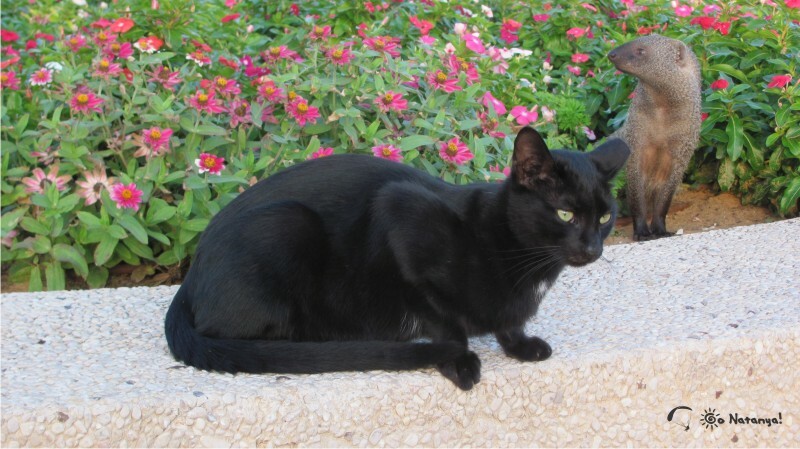 We don’t know why people in Netanya love cats so much. You can meet here dozens of cats, but sometimes here you can see not only them. 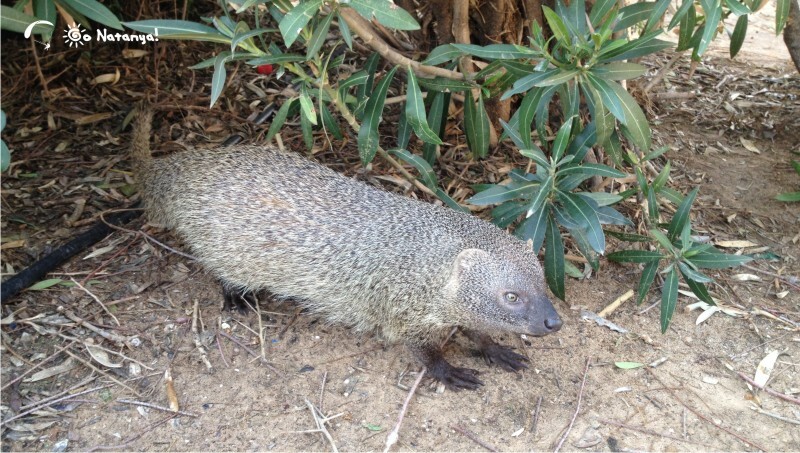 In this part of Independence square live… mongooses! Yes, those mongooses, that can eat cobras, or another snakes. And they live in peace with all cats here.